Unlike Mr. Burgundy, I won't be doing over 1,000..
I’ve made it no secret that I favor large, multi-joint exercises like pullups, squats and deadlifts. In fact, if all you ever did in the gym was deadlift and some Turkish Get-ups, you’d be eating a whole, balanced diet. The much maligned, and “nonfunctional,” bicep curl. Before you start telling me that I’m a hypocrite (I wrote in one of my first posts that they’re useless for many people), and that I should set my hair on fire for even suggesting bicep curls to the general population, I want to say “I know.” Ok? I know I’m a walking contradiction…but when you think about it, isn’t everyone? So why exactly have I changed my mind on this “body builder” exercise? 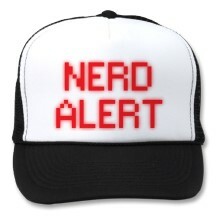 Well, I hope you have a few minutes, because I’m about to put on my nerd hat. First, biceps curls can play a part in injury reduction. When people perform heavy deadlifts, think about all the forces and actions going on to ensure that one’s arms don’t rip clean off of their body. While the body does a tremendous job keeping it safe, one of the potential injuries for serious deadlifters is a distended elbow (if you’re as squeamish as I, then yeah, it really is as gross as it sounds). If you look at the biceps, one if its main functions is to flex the elbow and provide stability as it inserts into the radial tuberosity (an important part of the elbow). If one were to distend or sublux their elbow, what’s actually occurring is that the head of the radius is pulled out from the anular ligament of the radius. Yup, gross. Then, if we move up from the elbow, we see that the other end of the biceps runs up the shoulder through the joint capsule, to the superior lip of the glenoid labrum. The other shoulder attachment of the biceps runs all the way up the arm to what’s called the coracoid process, a fancy way to say that it’s also attached to your shoulder blade. Now, if you’re not bored with the science talk, what we can take away is that the bicep contributes to both elbow and shoulder stability. A stronger bicep would, in theory, help stabilize both the elbow and shoulder, allowing you to take over the world. I'd classify this one as a "heavy deadlift.."
Now, if you’ll allow me to take off my nerd hat, we can also look at the other important reason to incorporate some bicep curls – building massive pipes. I’m a realist, and it’s tough to build some serious “gym cred” if instead of having a set of pythons, you have a set of Garter snakes coming out of your sleeves. How and when would I place biceps curls in a normal routine? Contrary to what some bro-scientists would say, I argue that the time and place for biceps curls is definitely not at the beginning of the workout. And unless you can deadlift 300 pounds and do 3 chin ups with 100 pounds attached to your body, time spent performing bicep curls would be better spent at getting proficient at the aforementioned weights (for women, I’d move the markers to deadlifting your own body weight, and performing 2 solid chin ups). But, assuming you can perform the numbers I mentioned above, I'd throw in 2-3 sets of 8-12 reps at the very end of a workout, beginning with a relatively light weight. As for me? I’ll be throwing in some bicep curls for the next few months…that is, until I change my mind again. Call me a hypocrite. I don't care. Just realize that the more you learn, the more you realize you just don’t know.